Home Page › Research & Technology › Are There Any Side Effects to Listening Binaural Beats? Are There Any Side Effects to Listening Binaural Beats? 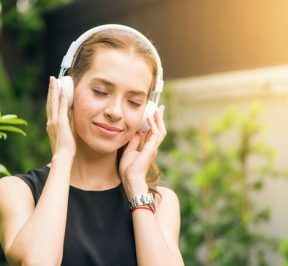 One question people often wonder is whether there are any side effects to listening to binaural beats, or whether there are any health risks. Consider that brain entrainment changes brain state – even if it does so positively – it's a reasonable question. Binaural beats work by combining two frequencies, a left and right frequency. These two frequencies are sent to the left and right ears. The mathematical difference between the two frequencies is what the brain responds to. The brain interprets this mathematical difference itself. So let's say we have a frequency of 205 Hz being sent to the right ear, and a frequency of 200 Hz being sent to the left ear. The mathematical difference is 5 Hz. This is the frequency the brain will follow along to. The scientific term for this process is ‘frequency following response'. It's a natural process. 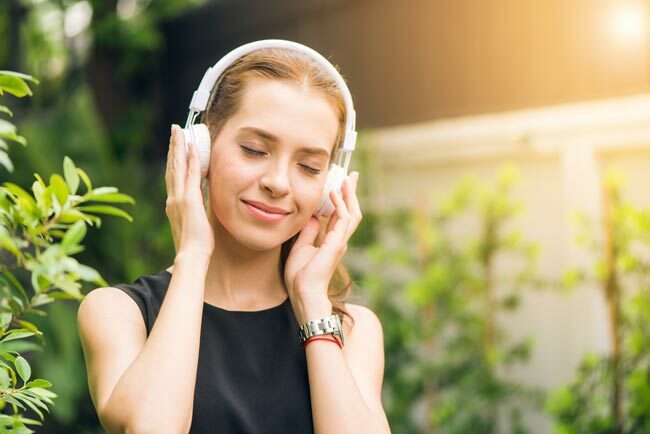 We have a guide that goes into greater depth on how binaural beats were discovered and how you can get the most out of your listening experience. You can download that here. But for now let's explore what these frequencies are and whether they can harm us in any way. Our binaural beats music is safe and pleasant to listen to. What is a Binaural Beat Made Of? If you listen to a naked binaural beat (without music on top), it sounds like a humming sound with a slight pulsation. This happens when the frequencies are combined and you hear them both at the same time. If you remove one of your headphones – left or right ear – you'll hear the pulsation disappear and the sound become one flat hum. These frequency signals are nothing more than sine waves. A sine wave is a smooth repetitive oscillation: imagine a long, flat bass note with no melody. The pattern that creates a sine wave occurs in nature, in ocean waves, sound waves and light waves. We are hearing sine waves all around us, all the time. It's basically a musical note lacking in harmonics. So it can't be harmful, because it is something that occurs in nature and that we are exposed to all the time. Moreover, music is made up of sound waves, and most of us listen to music every day. A sine wave is identified by the human ear as a single frequency, with no harmonics. But because binaural beats combine two sine waves, there is a subtle, recognizable harmony that occurs, along with a slight pulsation. You can test listening to binaural beats on this page. Simply grab a pair of headphones and follow the instructions. Technically you could listen to naked binaural beats, without music or other natural ambience over the top, but it's not very pleasant. Some people do like it, but it isn't very exciting and depending on the frequency of the tone it can feel quite strange. 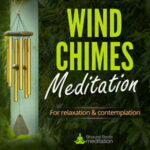 For this reason, white noise, natural ambience or meditative style music is usually used to complement the track. At BBM, we go a step further with our music and tune our instrumentation and ambient soundscapes to complement the intended brain state being targeted by the binaural beats. We believe that's why our music is popular; because first and foremost people enjoy listening. It should be noted that binaural beats don't require music overlay to be effective. However, the correct choice of instrumentation and sound architecture can enhance the listening experience and complement the overall effectiveness of the track. For example, a Delta state recording used for sleep might use rainfall or other hypnotic natural ambience to create an atmosphere conducive to deep relaxation. The frequencies used to create binaural beats are no different to the frequencies found in sound in general, be that in nature of manmade music. We hear and are exposed to sound waves every day, wherever we are. And so, the only side effects that might potentially arise from using binaural beats are those similar to those that would come from over exposure to music. For example, if a person listens to loud music in headphones for a few hours they might develop a headache. Some people can end up feeling a little nauseous when exposed to heavy bass frequencies for a prolonged period. This may occur when a person stands next to a large speaker at a festival/concert for a long period of time. Our music is long-play (30-minute and 1-hours versions, as standard) and requires headphones for complete effectiveness. We therefore generally advise 3 sessions a day for beginners, at a moderate comfortable volume. 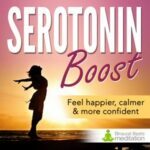 Reports of side effects from using binaural beats are extremely rare, and there have been no reports of associated health effects reported by the numerous studies done on this form of brainwave entrainment. Some customers report physical effects related to the release of stress and anxiety and tension in the body, such as muscle tingling and wanting to take a nap. This is quite normal when a person who has been suffering from stress in their life or muscular tension experiences a sudden relief. One thing that should be noted is that increasing the volume of a recording will not improve the effectiveness of binaural beats. Keep the music at a comfortable level, as you would with normal music. To get the most out of your listening experience, we recommend using closed-back headphones. This type of headphone blocks out external distraction and gives you an “in-head” sound experience that will not require a loud volume. We hope this article has helped put your mind at rest regarding any concerns you have about using binaural beats. In a nutshell it's just special music: music that helps your brain move into states of relaxation, learning, creativity, healing and more.